Japan is one of the most wildly creative places in the world, famed for its futuristic, kitsch design as well as its rich, traditional heritage. It’s a place of contrasts that’s echoed in its design style and places to stay: on one end of the scale, you can find yourself in a minimal, zen-like ryokan, and on the other you’ll be in a zany hotel staffed by robots. 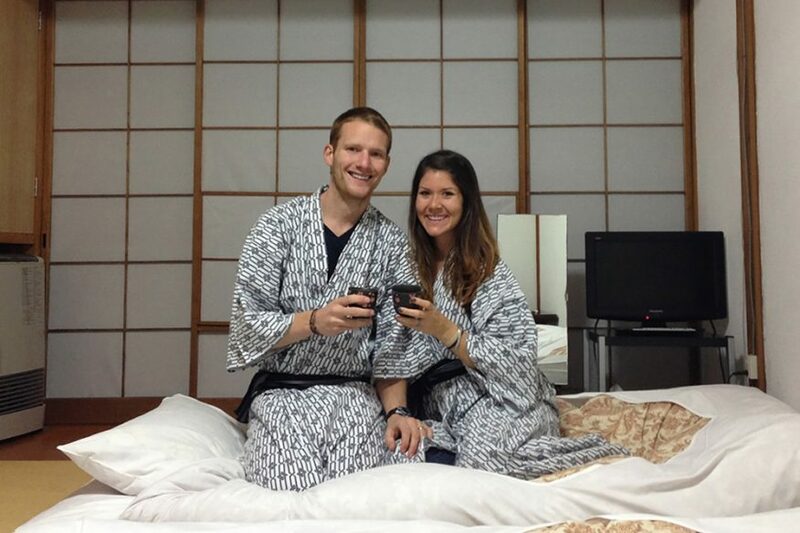 I’ve partnered with several bloggers to showcase some of the best hotels in Japan. 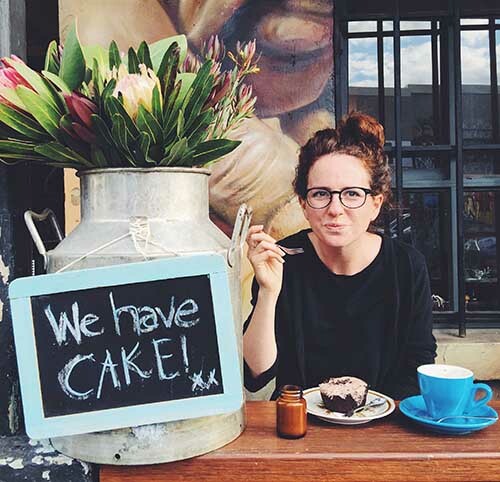 We wanted to showcase the most unique places on offer, covering a range of styles from creative boutique hotels to traditional ryokans and capsule hotels. Here’s our pick of the most unique hotels in Japan. For the ultimate futuristic Japanese hotel experience, you need to head to Henn na Hotel, which is part-run by robots. 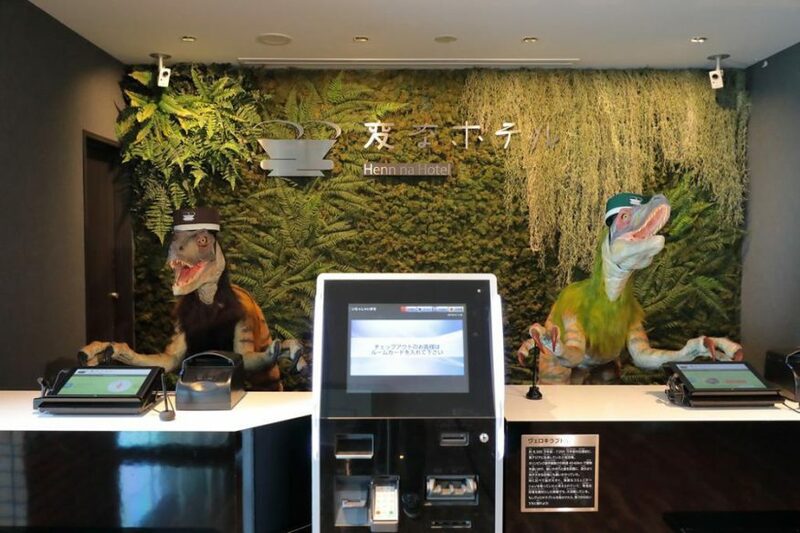 Robotic multilingual dinosaurs man the check-in desk, an automatic trolley delivers your luggage to your room, and each room comes complete with its own robot, Churi, who will help you with whatever you need. Things don’t always run smoothly and you may find yourself calling on one of the hotel’s human staff for help, but the concept is a fun novelty. The hotel is next to the theme park Huis Ten Bosch near Nagasaki, so it’s a fun place to combine with your visit there. Rooms start at $90. Find the latest deals and book now. Shibu Onsen is a traditional spa town close to the Jigokudani Snow Monkey Park. The town is home to nine onsens and it is said to be good luck if you visit all of them, but only residents and those who stay in the town have access to all of them. We stayed at Sakaeya, a traditional ryokan where we were given a key to the nine onsen, plus robes and wooden clogs that we roamed around the town in. You can collect a stamp at each one. 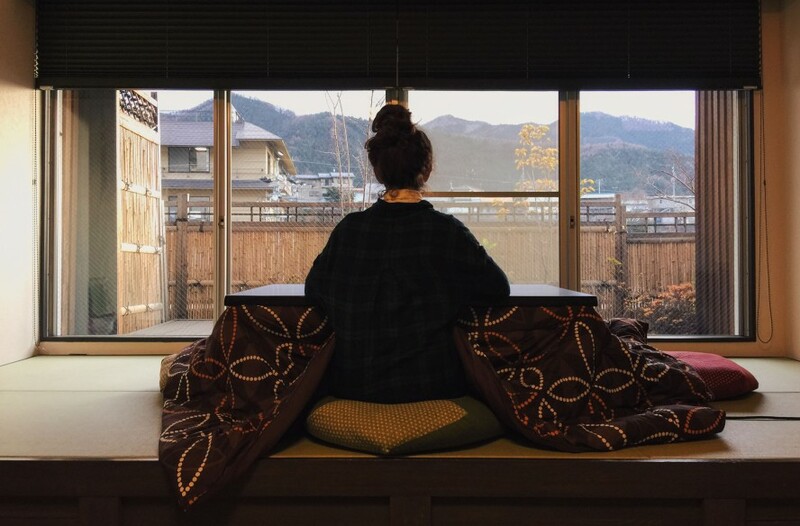 We stayed in a new room, which included a kotatsu (a heated table covered by a blanket) which keeps you perfectly cosy, and a view out to the mountains. Dinner was also a highlight, served in a private dining room. It’s a wonderfully special place to stay in Japan. Rooms start at $330. Find the latest deals and book now. 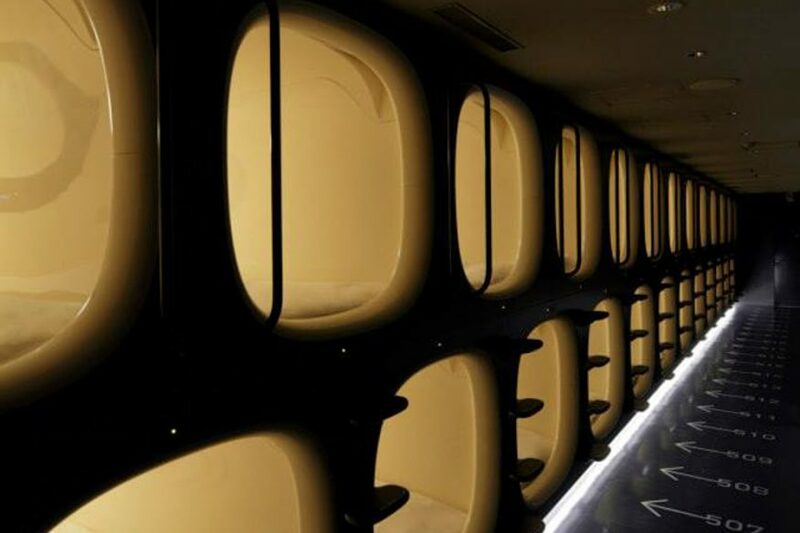 Staying in a capsule hotel is a unique Japanese experience, and the Nine Hours brand is an ideal option, ticking all the boxes of futuristic, modern design and minimalist functionality. In place of a room, guests are assigned a locker and a capsule, complete with a mattress, pillow and blind to keep out the light (but not the noise) from other guests. There are also communal bathrooms with showers. The capsules are more spacious than they look and even six-footers will be able to sit up inside theirs. Nine Hours is a small chain of capsule hotels in Japan, mostly located in and around Tokyo, and also Kyoto. See a full list of the hotels here. Capsules start at $40 per night. And you can also rent them for naps. Find the latest deals at Nine Hours Kyoto. Another classic Japan accommodation experience is staying in a love hotel – hotels that rent rooms by the hour (or night) and are dedicated to getting you in the mood, often with a variety of different themes. Traditionally they were used by young couples looking for privacy from the family home, secret lovers or late-night hookups, but nowadays they’re also popular with tourists and even solo female travellers. 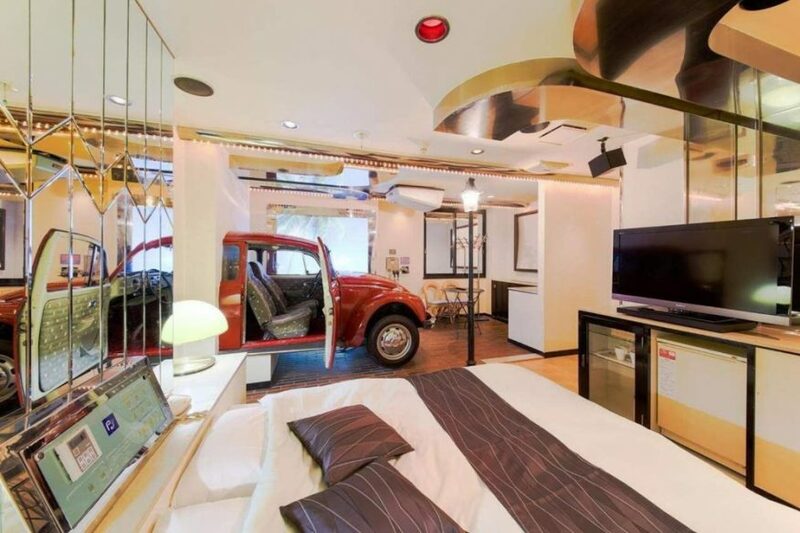 The Hotel Public Jam in Osaka is a good example with themed rooms, varying from a wooden ship cabin to a room with a car inside it. We didn’t stay in one when we went to Japan, but friends have told us they’re not half as seedy as they sound! Rooms start at $100. Find the latest deals and book now. Experience Christmas 365 days a year at the Chapel Christmas Hotel.. Think tinsel, Santa Claus, baubles, Christmas trees and fairy lights. But don’t be mistaken and think this is a family-friendly hotel, it’s actually an adults-only love hotel. The reception area features a photo board with all the different rooms – it’s its lit up, it means it available. 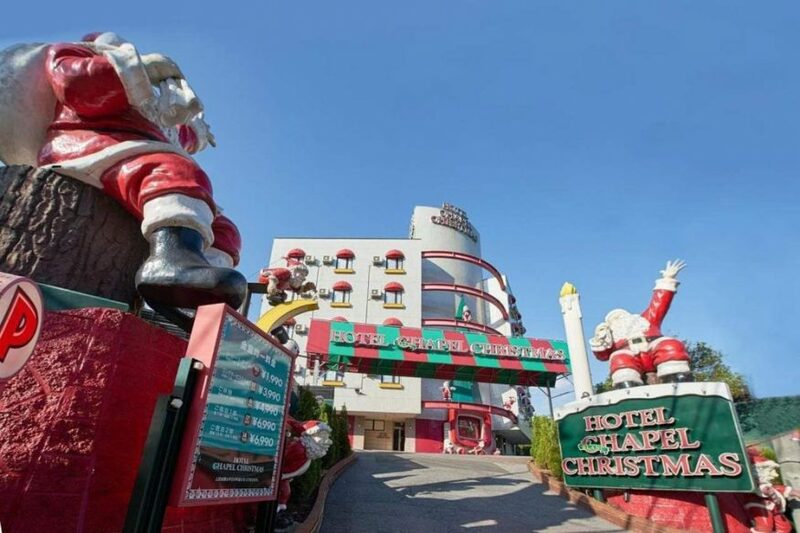 There are Chapel Christmas Hotels in Osaka and Tokyo, near Narita airport. Rooms start at $54 per night. Find the latest prices at the Tokyo hotel and book now. The Shojoshin-In is a beautiful temple in the magical mountain-top town of Koya-san, the centre of Shingon Buddhism. There are many temples in the town where you can stay the night and get an insight into life as a Buddhist monk, and this was the most special one we found. It’s right next to the town’s atmospheric graveyard, home to Oku-no-in, a masoleoum for the founder of Shingon Buddhism. The tatami mat rooms are clean and comfortable, some offering balconyviews to the mountain. Dinner and breakfast are included in the price and all the temples serve shojin-ryori, which is Buddhist vegetarian food. If staying there, don;don’t miss the early morning service where you can listen to the monks chanting (it starts around 5:30am). Prices start at $145 per person. Find the latest prices and book now. In the crazy wonderland that is Tokyo, it sometimes feels as though you could wish for anything, no matter how niche, and it might be there. 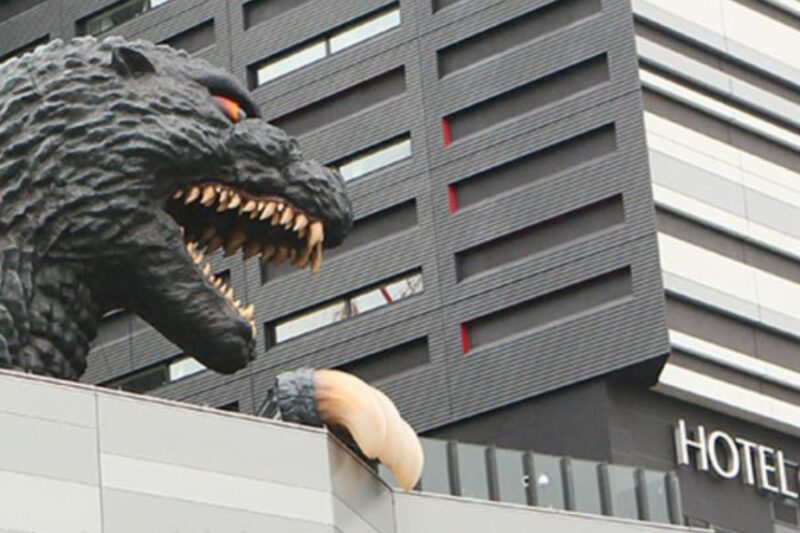 So it’s no surprise that the city is home to a Godzilla-themed hotel! The Hotel Gracery in Shinjuku comes complete with a Godzilla statue on the roof, Godzilla-themed deserts and giant Godzilla head in the lobby. 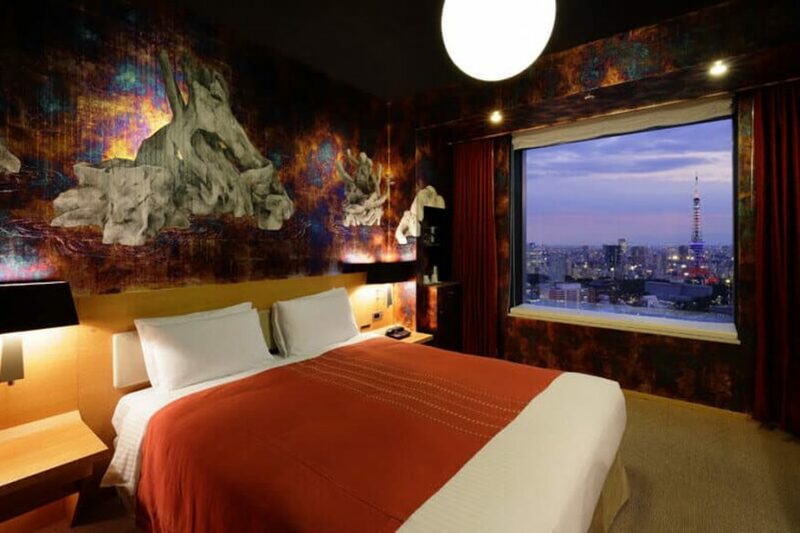 Not all the rooms are Godzilla themed, so if you’re a die hard fan then be sure to book the Godzilla view room which comes with lots of extra special Godzilla treats. Rooms start at $100 per night. Find the latest deals and book now. 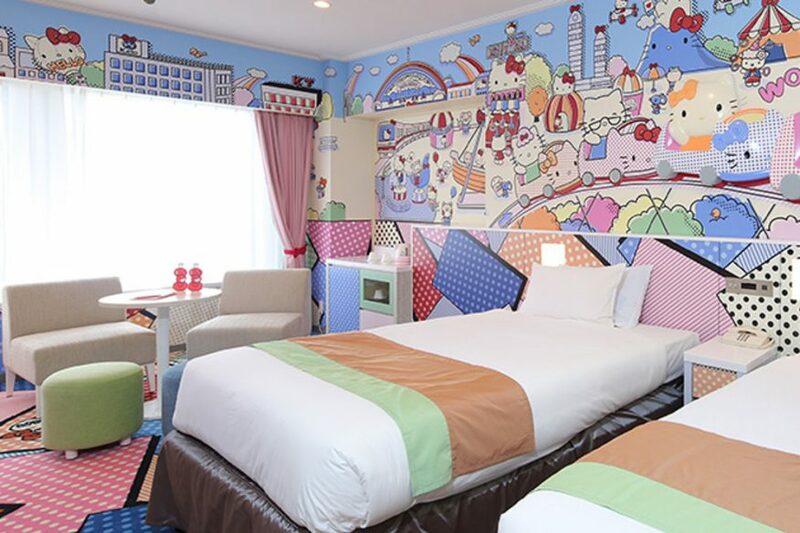 At first glance, the Keio Plaza Hotel doesn’t look like it should be on this list, but hidden beneath the classy 4-star hotel sheen is a collection of Hello Kitty-themed rooms, which feature an extravaganza of Hello Kitty paraphernalia. Fans of the kitsch anime cat will love it. There’s also a rooftop pool on the 7th floor and a karaoke parlour on the 47th floor. And because the hotel is so tall, there are some fabulous views across the city from most of the rooms. Rooms start at $110 per night. Find the latest deals and book now. 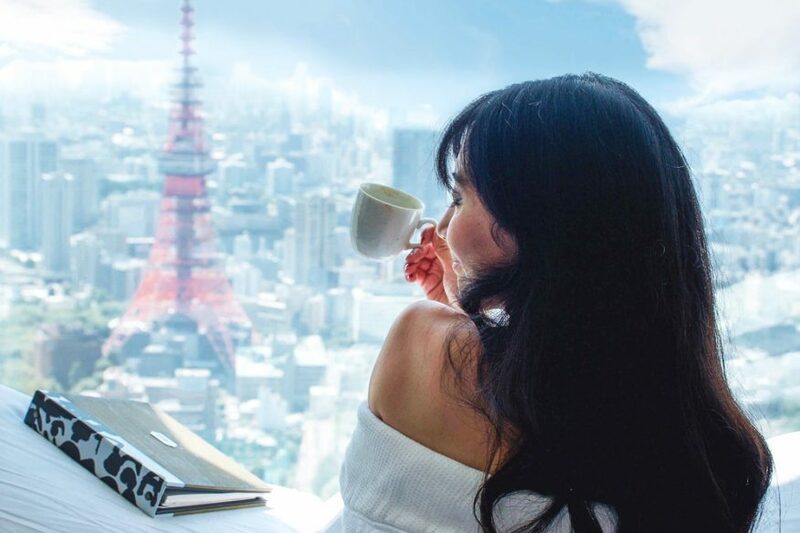 If you’re going to Tokyo with dreams of scenes from Lost in Translation then the Park Hyatt will be top of your wish list. It’s where Bill Murray and Scarlett Johansson meet in the hotel’s bar overlooking the city. Even if you’re not a fan of the film, the 52-storey skyscraper hotel is one of the most luxurious in the city. Some rooms even have a view of Mount Fuji in the distance. It’s well known as one of the top hotels in Japan. Rooms start from $320 per night. Find the latest prices and book now. 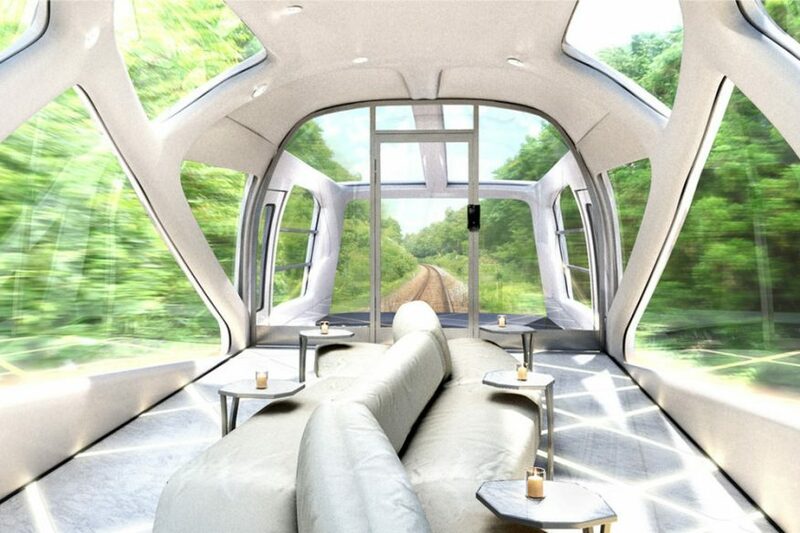 Japan already has the world-famous shinkansen bullet trains, and in 2017 it launched the Shiki-Shima, already known as the most luxurious train in the world. The 17 suites include cypress bath tubs and lofts, and the train also includes a piano bar, Michelin-star restaurant and two glass observatories. Only 34 passengers can be onboard at any one time, and you can book it for 2-4-day trips. It’s the ultimate luxury Japan hotel experience. Rooms aren’t cheap at at $3,000 – $10,000 a trip. 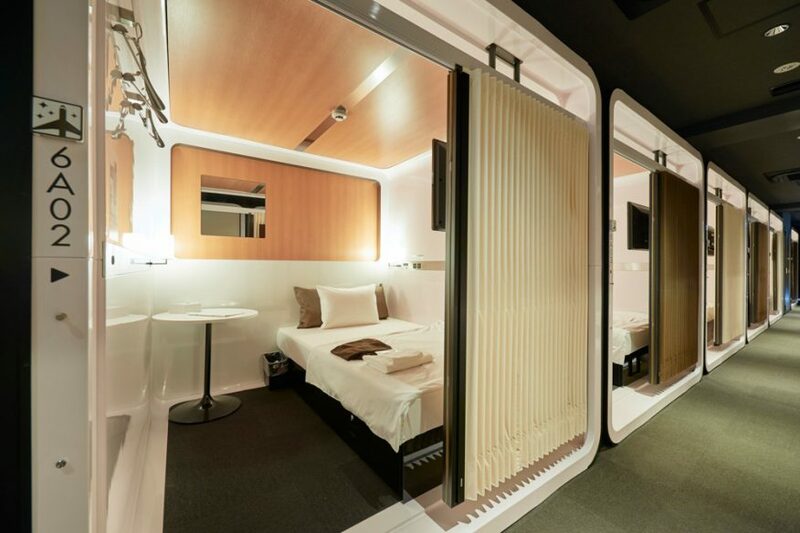 For a step up from a classic capsule hotel where each pod features only a bed, try First Cabin where the capsules come in a variety of different styles, including a first class room-size cabin that includes a semi-double bed (120cm), a side table, tv, safe box and wi-fi. Even the standard economy cabins come with a tv and large single bed (100cm). All options include a control panel that powers a reading lamp, emergency button, fan, earphone jack, USB and power outlet. There are over 20 different branches across Japan and some offer a premium cabin that can sleep up to five people. Rooms start at $50 per night. Find the latest deals at First Cabin Akihabara and book now. 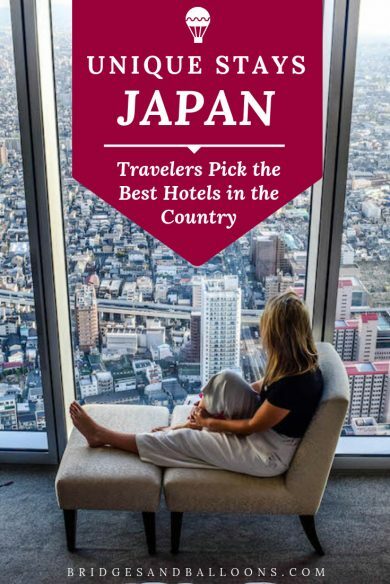 Here are the some recommendations from bloggers about the best and most unique hotels in Japan. Kyoto Garden Ryokan Yachiyo was build way back in 1890 and has kept many of its traditions, making it one of the more authentic ryokans in Kyoto. Its main draw to me is not that though. It’s its beautiful Japanese garden, complete with koi pond. This in combination with the traditional ryokan aesthetic gives the place a relaxing and peaceful vibe. They also have onsens, both private and public. And the veranda overlooking the garden is the place to have their kaiseki dinner – I must admit it’s a bit pricey, but the view is worth it. 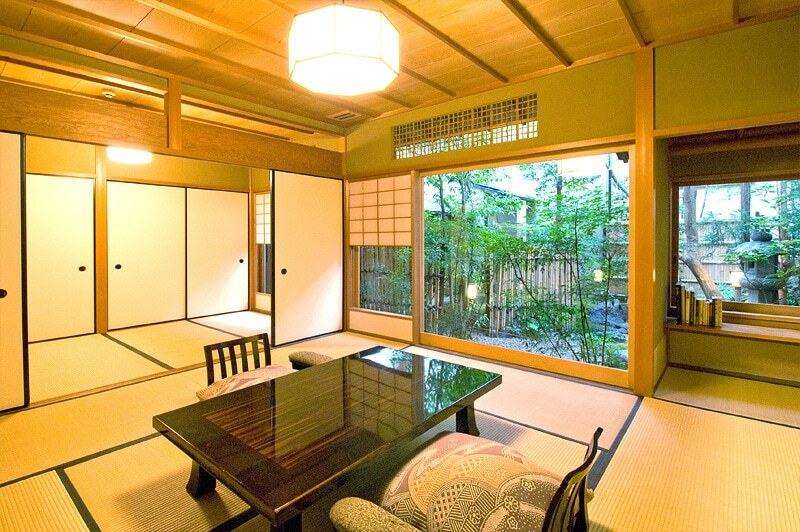 Ryokan Yachiyo is also strategically located in Southern Higashiyama, Kyoto’s main sightseeing district. And they have bicycles that you can freely use – an underrated feature in my opinion, as this is a good way to explore the neighborhood and take in the sights. Rooms start at $190. Find the latest deals and book now. 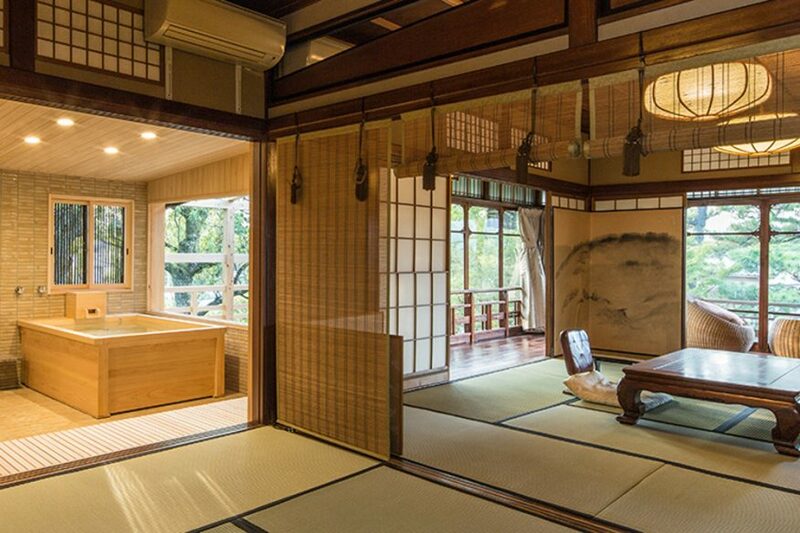 Ryokan Asunaro is a beautifully decorated classic ryokan in Hida/Takayama in Gifu Prefecture. Tucked in the Japanese Alps, Ryokan Asunaro feels like a luxury cabin in the mountain. The cozy environment encourages its guests to do nothing but relax. Once slipping into yukata and sipping a warm tea around irori (Japanese open fireplace), you will forget everything else from the outside world. The highlight of my stay at Ryokan Asunaro was the kaiseki dinner, served in an elegantly decorated private dining room. Asunaro’s kaiseki featured regional specialties: Hida beef and fresh seafood. (Hida beef is known for its finest quality in Japan and a must-eat for travelers to the region.) This state-of-art Japanese cuisine also featured other Takayama delicacy rarely seen in the typical Japanese restaurants, such as vegetarian-friendly Ikemori-namasu (vegetables dipped in tofu paste). For vegetarians, the chef can customize the entire course meal with an advanced request. Rooms start at $170. Find the latest deals and book now. Park Hotel is one of the most unique hotels in Tokyo. At first glance, it just looks like a nice Japanese hotel in Western style, but when you enter the rooms of Park Hotel, that’s when you get amazed. In collaboration with local artists, they gave each artist full freedom to design and decorate one of their suites. Each suite has a unique theme. The very first one that was made features traditional sumo wrestlers painted on the wall and in various decorations in the room. Another room depicts Tokyo as it looked during the EDO-period, mixed with modern Tokyo. If you book your stay beforehand, it’s possible to request a certain suite if it’s available. You can see all of the suites on their website. The location is also good with several connections to various areas in Tokyo. And breakfast is nice, featuring a mix of Japanese and Western breakfast items. Rooms start at $180. Find the latest deals and book now. One of the most unique places we stayed in Japan is at the Ishigaki Seaside Hotel in the tropical Yaeyama Islands. We stayed there as our base to visit these tropical islands, and we can’t recommend it highly enough. For one, the customer service is second to none. As a gay couple, we felt particularly welcome here. They have a mix of rooms in the main building, which have sea-facing views, or bungalows. We stayed in one of their bungalows, which are worth splashing out on. They are large and even have their own private Jacuzzi and terrace. 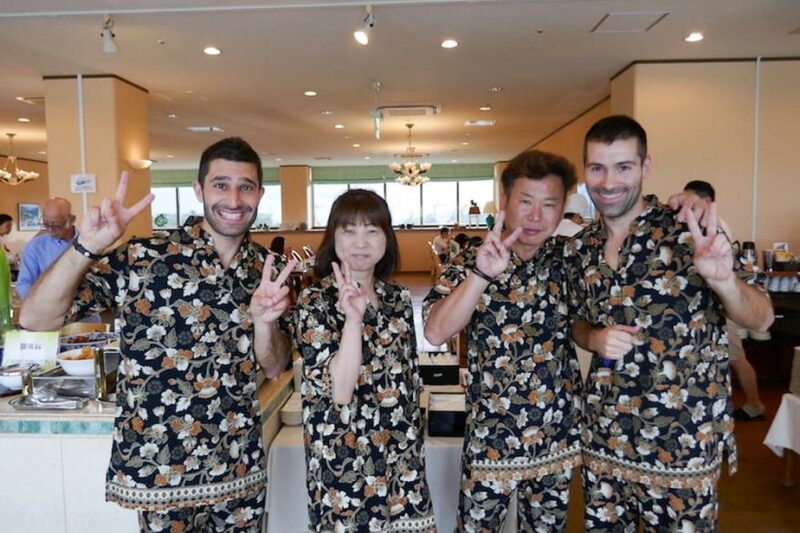 One of the most unique and memorable things about the Ishigaki Seaside Hotel was the matching pyjamas they offer to guests, which everyone enthusiastically wears: at breakfast time, most of the Japanese guests would come to the buffet wearing these matching PJs. Whilst at first it seems quite goofy, it’s so charming that you just have to wear them and join in! The main highlight for us in the Yaeyama Islands is the world-class snorkelling and scuba diving here: we saw a mix of tropical fish, rays and a few reef sharks. Rooms start at $115. Find the latest deals and book now. 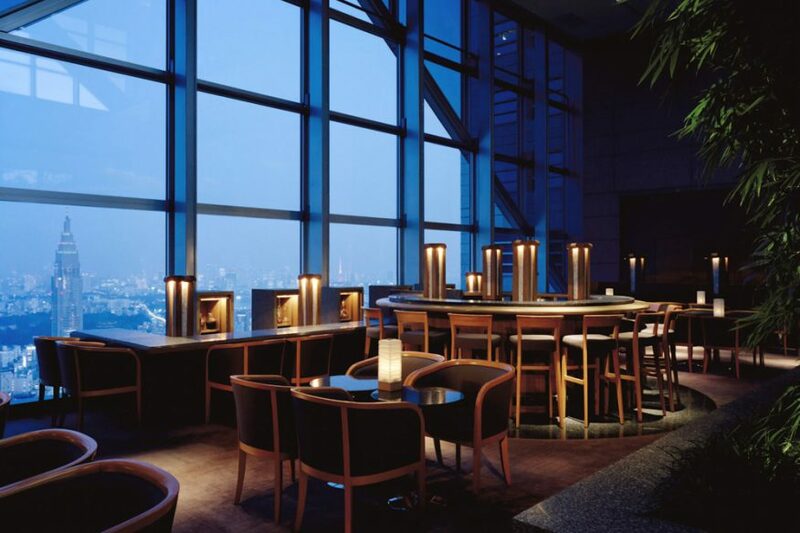 Andaz Tokyo is a five-star luxury lifestyle hotel, located between Tokyo Tower and the Imperial Palace. From the 52-story skyscraper, there’s an incredible view of both the tower and Tokyo Bay. Growing up in Japan, I visited Tokyo multiple times and stayed at a variety of hotels, but Andaz became my favorite hotel in Tokyo. The room is spacious and very well laid out with an amazing view, especially at night. The unique wood decor also makes you feel at home, and the bed and linens are extremely high quality. Andaz Tokyo offers wonderful dining and amenities as well. The breakfast buffet provides you a remarkable selection of Western and Asian cuisine, including a vast fruit selection, eggs cooked to order, and a variety of pastries. My absolute favourite part of the stay was the attentive customer service – the staff is very friendly and will go out of their way to offer recommendations and directions to make your stay special. I can honestly say that Andaz Tokyo is one of the most luxurious and beautiful properties I have ever stayed at. If you are looking for the best place to stay in Tokyo, you should definitely pay them a visit. Rooms start at $480. Find the latest deals and book now. When we reached our Ryokan in Kyoto, Mrs Nishida, dressed in a traditional floral kimono with wide sashes and obi around her waist, welcomed us to Kanamean with some warm green tea and matcha cookies. The traditional wooden house has only seven suites all furnished with futons, tatamis, wooden bathtubs and bamboo furniture. The library is stocked with books and there is even a little Japanese garden with seasonal flowers in the back. A tatami is a type of mat used as a flooring material in traditional Japanese-style rooms. Traditionally made using rice straw, the size of a room is measured by how many tatami mats can fit inside it. Footwear should be removed before stepping onto tatami. The minimalistic tatami mat rooms usually have room dividers or Shoji Screens to add style and to separate the sitting area. Low tables are used in the traditional sitting area since sitting on the floor is common practice. Once you get used to the idea of sitting and sleeping on the floors, staying in a ryokan is a neat experience when visiting Japan. The highlight of our entire trip was the Kaiseki meal prepared for us in house at Kanamean. After we changed into our cotton Yukatas, we were led into a private dining room for a very special seasonal meal served on Hermes tableware. Rooms start at $370. Find the latest deals and book now. 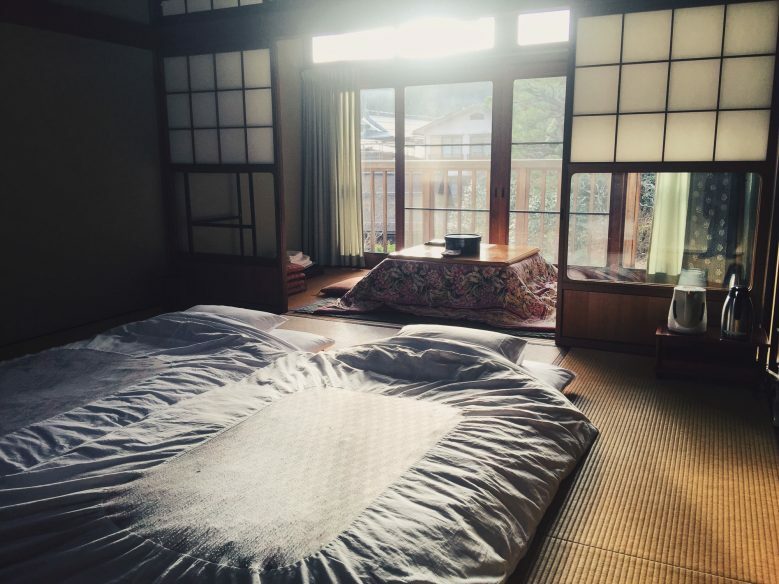 Staying in a ryokan is one of those Japanese experiences that was at the top of my list of things to do while traveling in the Land of the Rising Sun. But most of the prices I saw online made my eyes water and my tight budget seem impossible. Finally, after hours of research, I found Fuji-Hakone Guest House, and it checked all the boxes. Ryokan: Check. Under budget: Check. Good reviews: Double check! We were greeted by a friendly host and were shown to our room with tatami mat floors and matching yukata (cotton kimonos). And shortly after checking in, we discovered there was a bonus: two private onsite onsens – one indoors and one outside – that guests can reserve by the hour. And while I wouldn’t say they were anything too much more special than a hot tub, it was a nice touch. In fact, we had the onsen to ourselves and enjoyed a bottle of wine as snow melted on our shoulders as it fell from the sky. If that’s not magical, I don’t know what is! Well-situated in Hakone, this guesthouse makes a perfect jumping off point for exploring Mount Fuji. And it makes it possible for anyone traveling to Japan to have a ryokan experience without the steep price tag. Just cross your fingers and hope that you’ll be luckier than we were and actually see the famously shy Fuji (which was hiding behind a thick blanket of clouds during our entire visit!). Rooms start at $75. Find the latest prices and book now. The stay my boyfriend and I had at the luxurious Osaka Marriott Miyako Hotel was definitely one of our highlights in Japan. Osaka Marriott Miyako Hotel is located in Abeno Harukas, which is the tallest skyscraper in Japan. Our beautiful room was located on the 52nd floor, so the view was absolutely incredible. 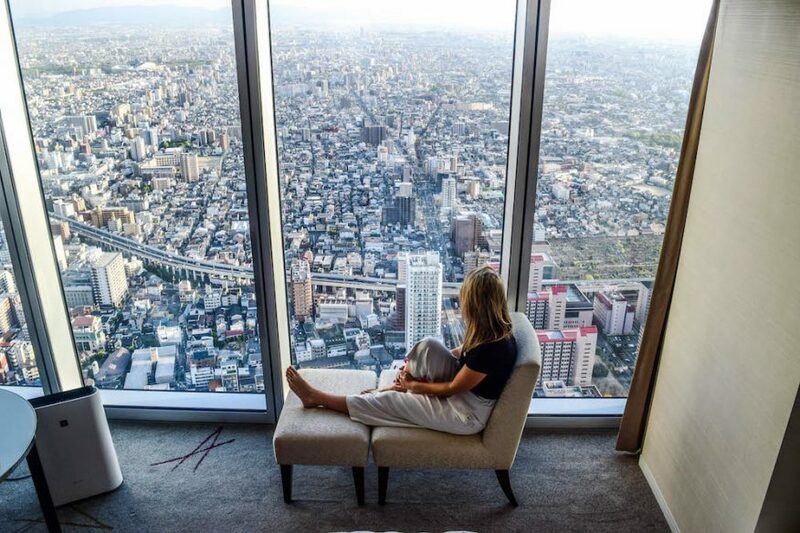 When admiring the city of Osaka from our big windows, it seemed as though the city went on and on..
Next to the panoramic view of Osaka from the windows, the room itself also provided us with comfort. The spacious room included a soft bed and basically everything you need. Of course the bathtub with an outlook over the city deserves a mention too. The hotel is located in Abeno Harukas (which is an excellent location), so you can easily visit many places, including the Abeno Harukas Art Museum, the Kintetsu Department store, and many cafes and restaurants. Mt. 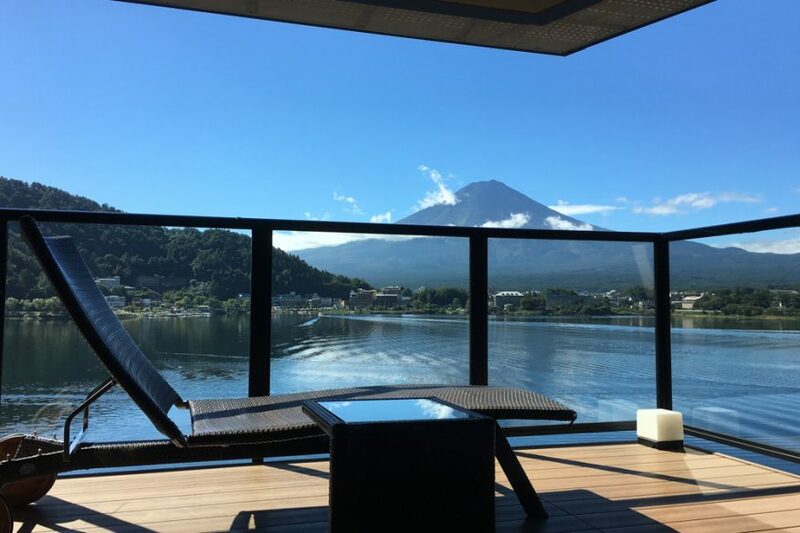 Fuji is the symbol of Japan and at Kozantei Ubuya, you can have the ultimate Japan experience by staying in a private hot spring hotel with a view of Mount Fuji. Kozantei Ubuya is located in Fujikawaguchiko, a Japanese resort town at the foothills of Mount Fuji. Kozantei Ubuya has 51 rooms that are either Japanese style or Japaense-Western Style with an amazing view of Mt. Fuji over Lake Kawaguchiko. Some of the rooms have an open-air private onsen meaning you have a hot spring pool on your own private balcony. The hotel also has communal hots spring pool for guests without private onsen in their rooms. Not only are the rooms amazing at Kozantei Ubuya, their meals are equally as good. 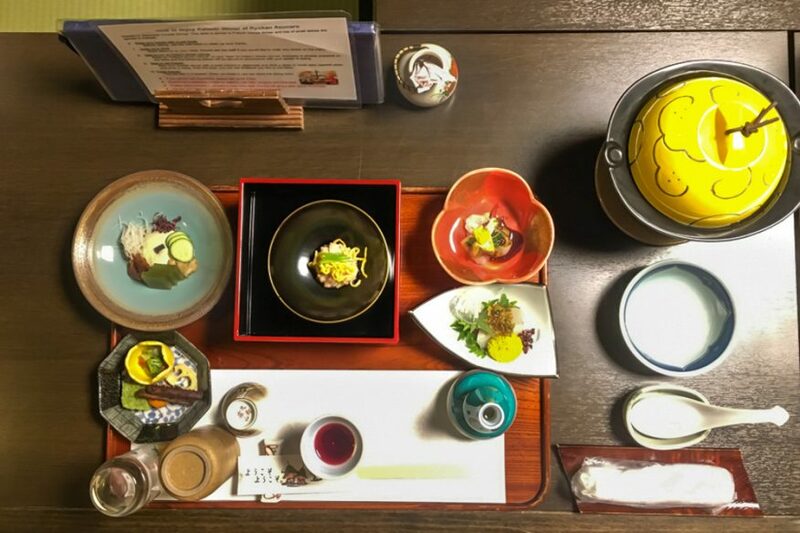 If you choose to include food with your booking, you will be serving multiple course Japanese-style meals made with fresh seasonal ingredients in their dining room. The service at Kozantei Ubuya is also great, with a shuttle pick-up from the train station to a very pleasant checking in process. When you check in, the hostess will even serve you freshly made matcha (green tea) with Japanese sweets in your room. Rooms start at $450. Find the latest deals and book now. 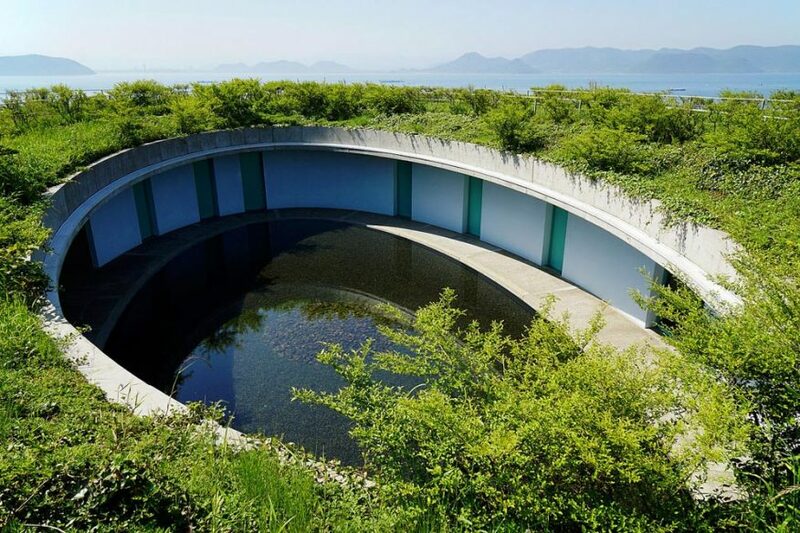 Hidden among 3,000 islands in the Seto Sea in Japan lies the Benesse House Museum, the centerpiece of the Japan Art Islands, a gem that I totally recommend going to when deciding where to stay in Japan. Designed by famous Japanese architect Tadao Ando, it was opened in 1992 with the concept of “coexistence of nature, art, and architecture”. Built on high ground overlooking the Seto Inland Sea, the architecture has many large openings and clean lines, letting in lots of natural light. I love how the artwork in the hotel/museum is displayed not only in the galleries but all over the property. The Benesse House Museum truly has merged nature, art, and architecture together in a seamless way. Another bonus of staying here is that, as a hotel guest, you’re allowed to roam around the museum at any hour, including after close. Luxury accommodation here includes four double guest rooms, two suites and an in-house cafe. The central courtyard also has a beautiful large oval pool that is perfect for photography, meditation, or just getting lost in time. Rooms start at $290. Find the latest prices and book now. Read more about Japan in our 10-day Japan itinerary. One of the best ways to save money travelling around Japan is to get a Japan Rail Pass. You can buy yours here. We booked our accommodation through Booking.com. You can use this discount code to get £20 off your first booking with Booking.com. I travelled with the Samsonite Spark suitcase and a small Case Logic backpack, which had enough room for everything I needed. Steve used the same suitcase and a ThinkTank Shapeshifter Backpack for all his camera equipment. And check out more of our detailed itinerary posts here, including a one-month California road trip itinerary; Florence to the Amalfi Coast road trip; and 5 days in Iceland. Found this post useful? Share it on Pinterest. My wife and I were planning a trip to Japan this year on our anniversary and we both were literally out of ideas on where to stay as we have no idea regarding Japan Hotels. However, this article proved to be a life saver for us, we did our research on all these hotels and every single one of them is simply amazing!